UCSD Chancellor Pradeep Khosla will be honored as this year’s Special Recognition recipient during the tenth anniversary celebration of the Asian Heritage Awards on Saturday, Sept. 14, at the San Diego Marquis and Marina on Harbor Drive in San Diego. Gala Co-chairs for the evening are UCSD’s Dr. Shu Chien, 2011 National Medal of Science winner; and SDSU’s Dr. Lilly Cheng, director of the Confucius Institute at the university. In addition, the Asian Heritage Awards will recognize achievers in nine categories. UCSD Chancellor Pradeep Khosla will be honored as this year’s Special Recognition recipient during the tenth anniversary celebration of the Asian Heritage Awards on Saturday, Sept. 14, at the San Diego Marquis and Marina on Harbor Drive in San Diego. Gala Co-chairs for the evening are UCSD’s Dr. Shu Chien, 2011 National Medal of Science winner; and SDSU’s Dr. Lilly Cheng, director of the Confucius Institute at SDSU. In addition, the Asian Heritage Awards will recognize achievers in nine categories, ranging from entrepreneurship to humanitarian outreach. To reserve a seat, table or table sponsorship, go to http://www.asianheritageawards.com/reserve-desk.html before the early bird rate expires Aug. 15. Dr. Khosla’s selection as this year’s special honoree, according to Rosalynn Carmen, president of the Asian Heritage Society, is based on a “distinguished academic career, strong dynamic leadership and pioneer efforts to insure diversity, reform curriculum and promote multidisciplinary research and global outreach.” Dr. Khosla’s selection, she said, also complements the Society’s BOOST-STEM program, held in collaboration with Cal State San Marcos and Alliant International University, which inspires middle school students to combine the entrepreneurial skills of business with careers in science and research. The program is partially supported by proceeds from the gala. 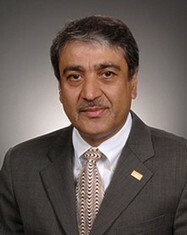 Dr. Khosla began his tenure at UCSD last August after serving as dean of engineering at Carnegie Mellon University, where he organized and set direction for the school’s undergraduate and graduate research programs. While there, he was also elected University Professor, the highest distinction for a faculty member. He is also credited with starting several programs which led to successful diversity efforts and a multidisciplinary approach to research, graduate and international programs. An elected member of the National Academy of Engineering and fellow of the Indian Academy of Engineering, Dr. Khosla is a fellow of the American Association of Artificial Intelligence and recipient of numerous awards for leadership, teaching and research. He is a graduate of the Indian Institute of Technology, where he received a degree in electrical engineering, and received his master’s degree and doctorate in electrical and computer engineering from Carnegie Mellon. Dr. Khosla joins a distinguished list of Special Recognition honorees, including California Controller John Chiang, APAPA founder and McDonald’s scion C.C. Yin, San Diego’s first Asian elected official Tom Hom, and Army Major General Antonio Taguba. In the last ten years, the Asian Heritage Society’s Asian Heritage Awards has become the premiere event of its kind for Southern California’s Asian and Pacific Islander community and been recognized by the U.S. Congress, the City and County of San Diego and twice cited for its public service by the San Diego Press Club, one of the largest organizations of its kind in the country.